Thirty-six-years-old, Across the Bay is the second event in Represent Running's Run the Bay Challenge Series. Across the Bay is an ode to simpler times when people came out to run on a whim, give their best and high five the finisher next to them — dudes and gals that have been around running and racing Across the Bay since it started in the 80’s. 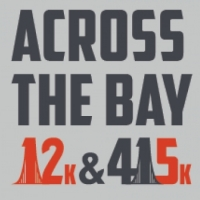 The 12k features the same USATF certified course as years past -- a point to point journey starting in Sausalito, running across the Golden Gate Bridge, and finishing in Aquatic Park. The 5k starts and finishes in San Francisco. The shuttle ride to the starting area from San Francisco or Sausalito is free! All participants receive a finisher's medal and race tech tee designed by the local artists at San Franpsycho. 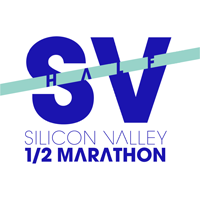 REMOTE RUNNING: Can't make it out to San Francisco for race day but still want to participate? Not a problem. Sign up as a Remote Runner and complete your 12k or 5k on your own. You will receive your ceremonial remote racing bib, official race shirt, and finisher's medal the week after the race. 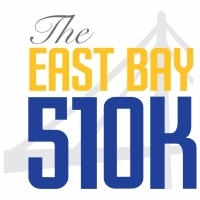 Across the Bay 12k & 415k is a central stop on the "Run the Bay" Challenge Series along with the San Jose 408k "Race to the Row" and The East Bay 510k - 5k/10k. Run all three and earn yourself that big ol' Run the Bay Challenge Medal. You can register right now for the Run the Bay Challenge by clicking the "Register for Series" button on the right. 12k or 5k Run/Walk Price Includes: Official Race Tech Shirt designed by San Franpsycho, Finisher Medal, shuttle ride to the start. Remote Runner Price Includes: Official Race Tech Shirt designed by San Franpsycho, and Finisher Medal sent to you the week after the race. Remote running qualifies you for the Run the Bay Challenge Medal as well. Refunds & Cancellations: All registration fees are non-refundable. This policy applies to all registrants whether you are injured, have an unexpected family/business emergency, have a medical emergency, etc. If the course has to be altered or cancelled due to an act of nature, or the event time changed due to circumstances beyond our control, there are no refunds.